Shared Return transfer from Airport to Hotel. Yerevan, Armenia's capital, is marked by grand Soviet-era architecture. The Matenadaran library, housing thousands of ancient Greek and Armenian manuscripts, dominates its main avenue. Republic Square is the city's core, with musical water fountains and colonnaded government buildings. The 1920s History Museum of Armenia on the square's eastern sidecontains archaeological objects like a circa-3500-B.C. leather shoe. •	Arrive at the airport. •	Meet our local representative and transfer to hotel for Check In. •	After check in proceed to the half Yerevan city tour. •	Start the city tour by visiting the historic Mother Armenia statue. •	Head to the Cascade, a giant fleet of stairways linking the Downtown and the Monument neighborhood. •	Next, visit the Opera house and the famous dancing water fountains at Republic Square. •	After Tour enjoy Welcome Dinner. Day at leisure or Optional tour of Garni Geghard Lake Sevan and Tsaghkadzor. 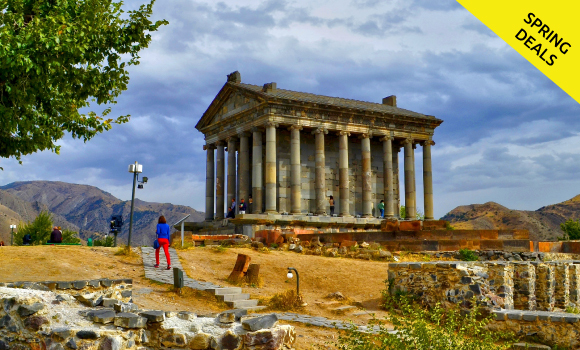 •	Day at leisure or opt for a tour of Garni Geghard Lake Sevan and Tsaghkadzor. •	Buffet breakfast at the hotel. •	Spend your day at leisure. 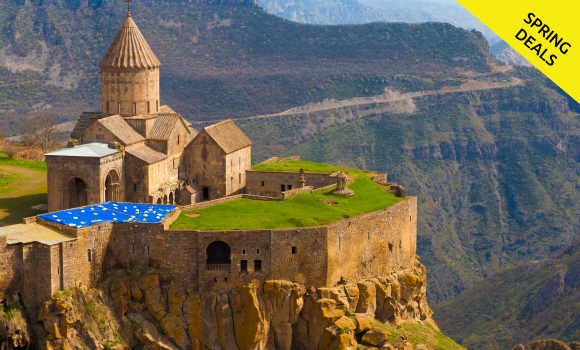 •	Optional tours: Noravank monastery and Jermuk waterfall . •	Stay overnight in Yerevan. •	Enjoy a scrumptious breakfast at the hotel. •	Hotel check-out & proceed to Yerevan airport for your return flight.